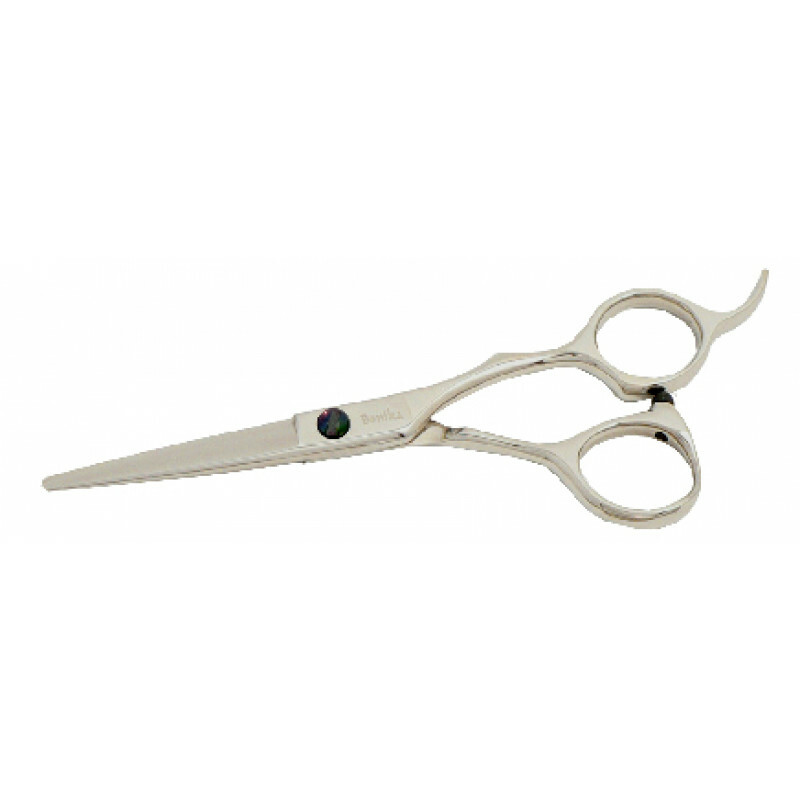 The design of 5.5 inch Bonika Jazzy Lefty Thinning Shears is based on the specifications provided by Americas best cosmetology schools and hairstylists. These left handed scissors are very light and are made of forged 440C Japanese steel. They have a regular flat screw, an attached finger rest, and an offset style handle, making them extremely convenient to use. These shears work well for both professionals and cosmetology students, and they come with a 30 day guarantee and a lifetime warranty. The manufacturer, Bonika Shears, make these cutters really sharp, high quality and in various different styles catering to the varied salon professionals needs. Regular adjustable flat screw (easily adjusted with a coin). Bonika lifetime warranty, 90 day accident policy and 30 day Satisfaction Guarantee!